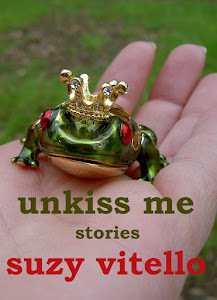 let's talk about writing: an award! Nope, not a grant or anything, but a sweet compliment none-the-less. This lovely YA writer found my blog and issued the award you see at left. Chain letter-esque though it may be, this is actually a nice way to spread the word in that very hip, social media sort of way, don't you think? 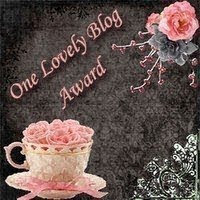 Here's a list of some great up-and-coming blogs, and to them, I bestow the "One Lovely Blog Award" badge. Award winners, all you have to do to "claim" your award is seize the photo, post it on your blog, link to me as the "bestower" and pay it forward to blogs you admire (up to 15). I know there's more, but this is a good start! Thank you so much for this award. It means the world to me. I cannot believe how much we have in common as far as husbands, last names and nomadic ways are concerned. I wonder what else we may share.